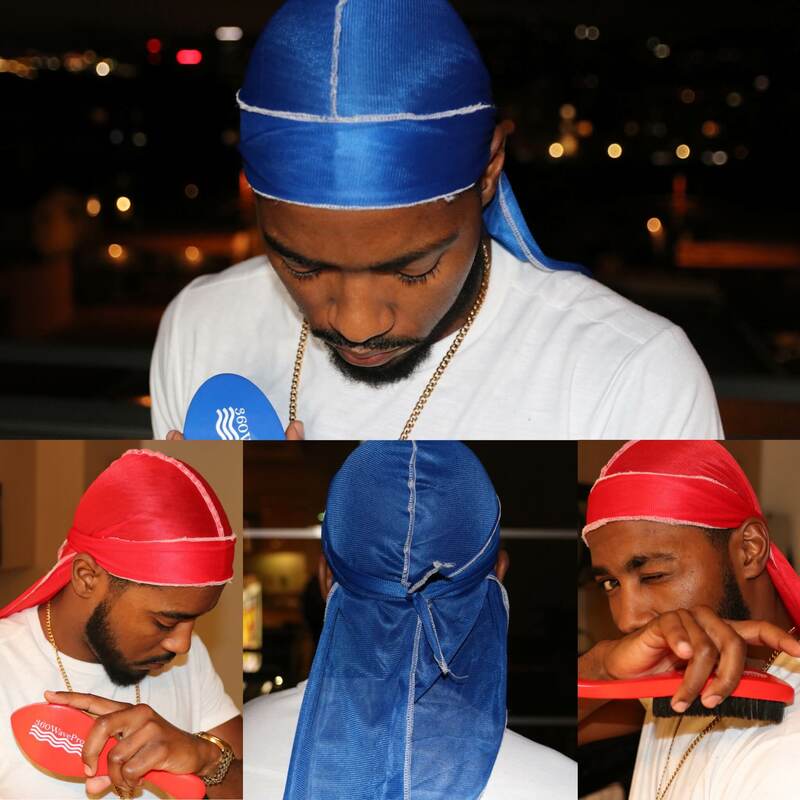 This page will discuss the effectiveness of the different types of durags available today. People choose to wear durags for a number of reasons. As a guy/girl trying to get and maintain 360 waves you should choose a durag based off of the amount of compression it provides. Beginning wavers often get lost in the mix and end up with du-rags that don’t help them better their waves. 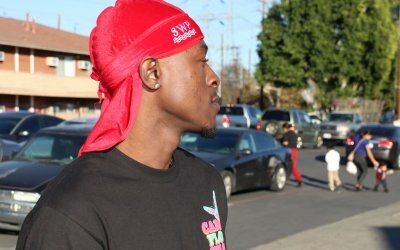 This page will help you determine if the du-rag or durags you have are actually helping you to achieve elite 360 waves. 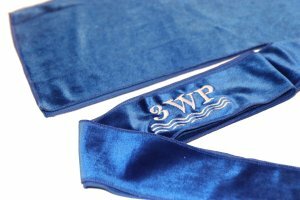 3WP Velvet Durags. Now available. Velvet durags are relatively new on the 360 wave scene. They are extremely popular due to their unique and stylish look. These durags not only look great, but they are also very comfortable. They usually have the velvet outside with a non-velvet inside. The strings are usually extra wide compared to other du-rag types which allows for a softer feel when tied and spread evenly across the forehead. 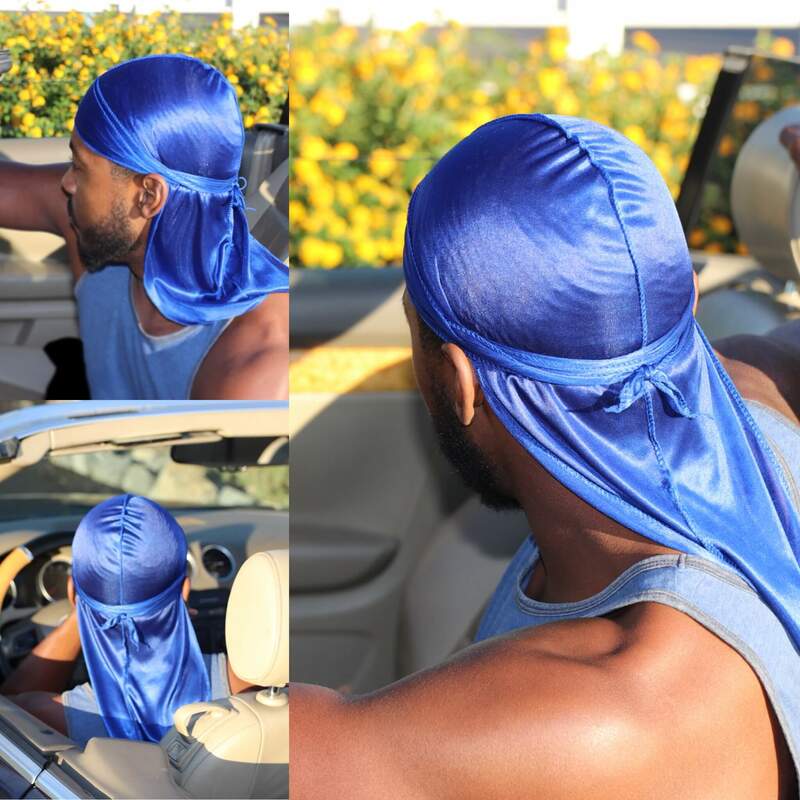 Velvet durags are really great however, you may be shocked to hear that although very stylish and comfortable, these velvet durags do not do a very good job at laying the hair down. They are beautiful looking rags, but after testing them I found that they have sub par compression capabilities. I have coarse hair aka “nappy” and after weeks of testing and nights of sleeping with velvet durags, I found that they failed to effectively lay my waves down as well as my silky and polyester-satin mix durags. 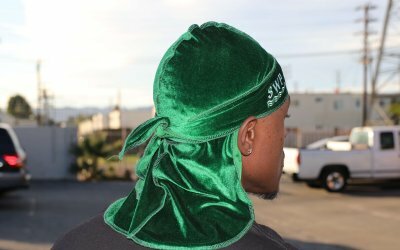 I would say that velvet durags are great for comfort and style, but when it comes to use for bettering/maintaining 360 waves you should opt to use a silky or poly-satin mix fabric durag. Maybe you can wear your velvet on top of your silky when in public. That way you can look stylish while getting the benefits of having your hair laid dow. That can be the ultimate way to have your hair laid all while looking super fresh. 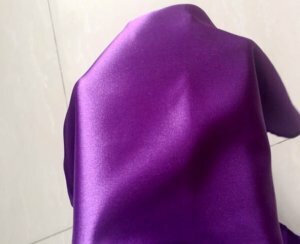 If you are looking for some unique velvet du-rags feel free to check out the assortment of colors that they come in. Some popular colors include Red Velvet, Blue Velvet, Dark Grey velvet, Green Velvet, Black velvet with red stitching, Royal blue velvet with white stitching, Turquoise velvet, sky blue velvet, Navy Blue velvet, Red with black stitching, and a few others. 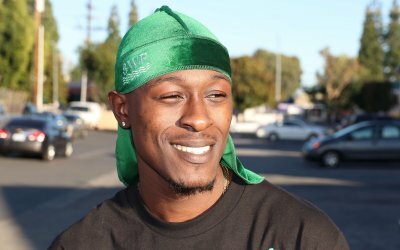 “Silky” or Silk durags are another popular option when it comes to durag options. Silky durags have been around for a very long time. They have recently become much more popular after the “silky durag or die” trend popped off on Instagram. The trend involved people throwing non-silky durags out of windows, lighting them on fire, and comedically disposing of non-silkys, mostly polyester durags, in many different creative ways. The trend was very entertaining, but are silky durags really that much better than polyester and other non-silky du rags? First, please understand that nearly all “silky durags” are not made of silk. What people call “silky durags” are usually durags made from a fabric woven with a small amount of silk, or just made of fabrics that imitate silk. Technically, you can call them silky because that does not mean it is 100% silk. How do you know if its a silky durag? 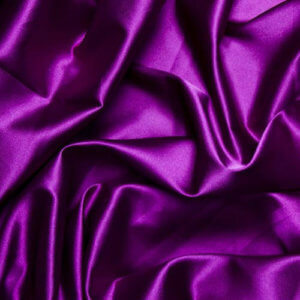 Well silk has the characteristics of being shiny, smooth at touch, and having a bit of weight to it. If your durag has all of those qualities, then it is silky, or silk like. If it is missing one or more of those qualities, I would not consider it silky. Personally, I would say that silky du-rags tend to do a very good job of compressing the hair. For that reason I would highly recommend using a silky durag as your all around daily and nightly durag. They are very stylish and are awesome at laying the hair down however, I wouldn’t say they are significantly better at laying the hair down when compared to all other types of durags that it warrants throwing all non silky off balconies and setting them on fire. 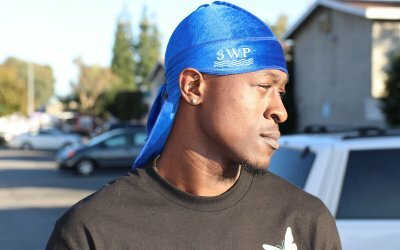 These durags are made from polyester however, the fabric is woven in a way that gives it a shiny appearance. I believe this polyester fibers are woven with satin to create this unique blend. 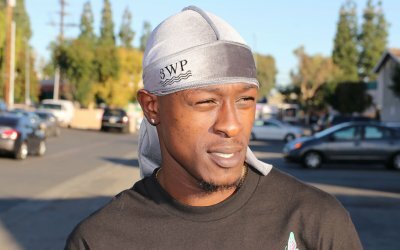 At first glance one would not immediately think that it is a polyester durag especially since poly durags have a reputation of being cheap and of low quality. One must understand that different fabrics can be woven together to create unique blends. Poly-satin mix durags are honestly my favorite type of durags. I feel that they have a stylish look, feature a comfortable feel when tied, and provide and excellent amount of compression. These silk like polyester durags are my go to on any given day and night. I found that even after a short amount of time it provides my hair with enough compression to lay it down. 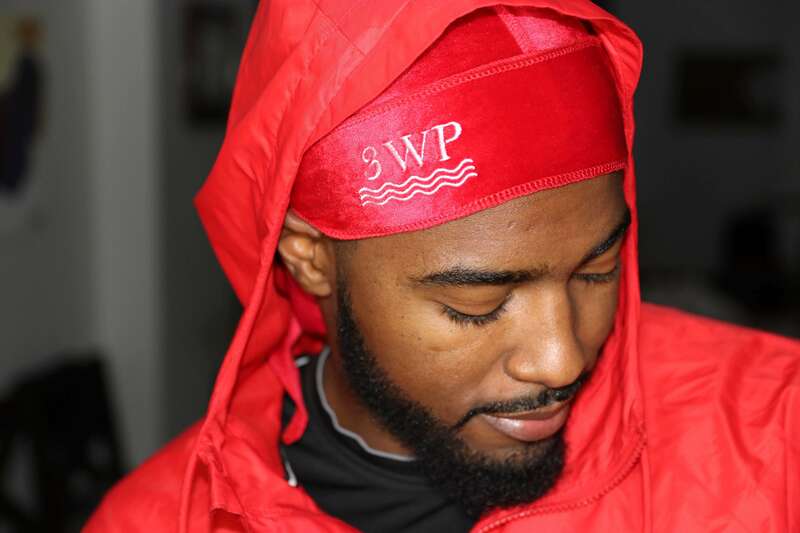 Generally 360 wavers should aim to wear their durags for about 20-60 minutes before taking them off to see the best results from the compression. I found that the poly-satin mix rags can get a quickly compress the hair after about 10-15 minutes of wearing, and an even better compression can be achieved if left on for a full 60 minutes. To any beginning waver looking for a good du-rag that will give them the best results for their waves, I highly recommend this type. I have these available to order in various colors such as Royal Blue, Silver with black stitching, Baby blue, Turquoise, Navy Blue, Black, Burgundy, Bronz, and a few other silky colors. Mesh polyester durags are not that popular in the wave community. Despite the lack of popularity, they are used by a large number of people due to the fact that they are very inexpensive and readily available. These durags tend to be woven from polyester. Polyester is a man made synthetic fabric which is why it is so inexpensive. These poly mesh durags are very light weight and you can easily see through the fabric. It is comparable to looking through a screen door. After testing this durag type, I found that it does a sub par job at laying the hair down. It only slightly beats the velvet durags which says a lot given that these mesh poly du rags don’t look as good as the velvets. Overall I would say pass on these mesh poly durag in favor of the silk like polyester durags that have more of a shine to them. I believe the difference is made in the weight of the two. These mesh poly durags are extremely light weight while the silk like polyester durags have more of a wight to them. These are not offered by 3WP due to their lack of lay down power. Satin durags are another type of durag you may come across. These durags appear to be silky. They have a silk like shine to them and have a very smooth feeling at touch. Those are characteristics of silk. The thing that set these satin durags apart from silky durags is the weight of the fabric. It is clear that they are not silky in whole because they tend to be very light weight which is not a characteristic of silk. Similar to mesh poly durags, satin durags are also very inexpensive. 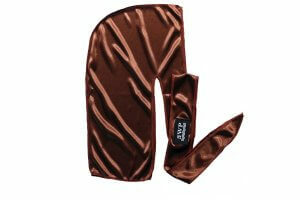 Likewise, due to the low cost to attain them you will see a lot of new wavers wearing them. These durags look good so you can’t blame anyone for rocking them. I hate to be the one to say it because you may have few in your collection. Similar to the mesh polyester durags these satin durags do a terrible job at laying the hair down. After wearing satin durags overnight, I woke up to find that my hair was not laid down to the fullest. For this reason I would suggest you pass on using satin durags as your main daily and nightly du rag for 360 waves. Perhaps you can wear it for style. If you are looking for compression this durag type will not serve you well. 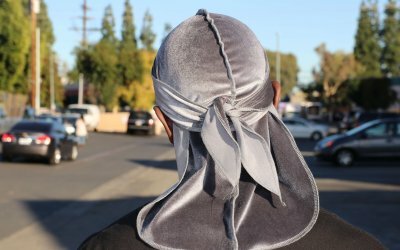 I would really just suggest copping a silky durag mentioned earlier in this post. It has the same shiny appearance as. these satin made ones all while doing a much better job at laying the hair down.